Students from Seaside High School, Astoria High School, Astoria Middle School, and Ilwaco High School were among thousands across the US who walked out of school for 17 minutes on March 14, paying tribute to those who were killed at Marjory Stoneman Douglas High School in Parkland, Florida, and protesting gun violence. 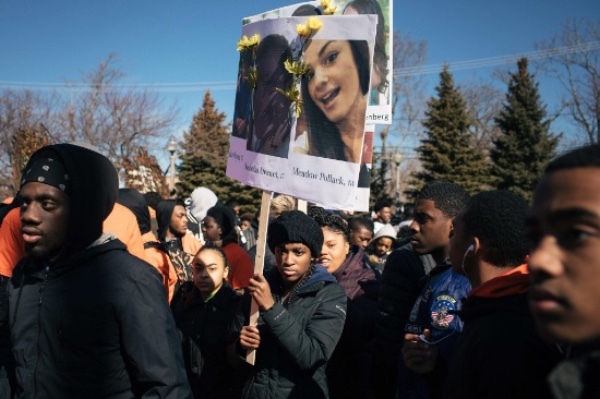 These photos from Chicago and New York City are from the New York Times. Rally in solidarity with the half-million people expected to march in Washington, DC on March 24 - a march planned and organized by high school students! 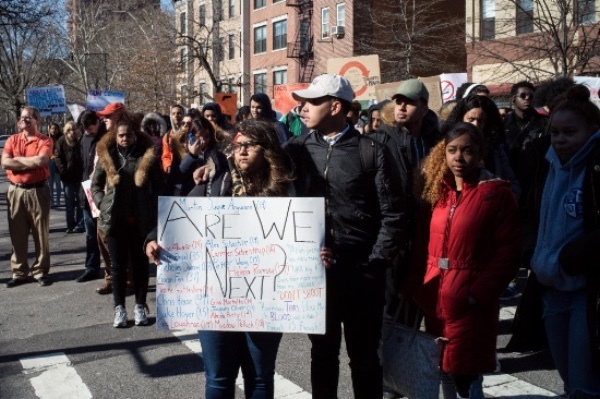 INCO is partnering with local students and their families for our local Rally For Our Lives to support their work to stop gun violence, in solidarity with similar events around the US. Cheer on these courageous students with suggestions compiled and created by Cheryl Conway and Bebe Michel, INCO Indivisibles. This is a new and corrected link to their list. 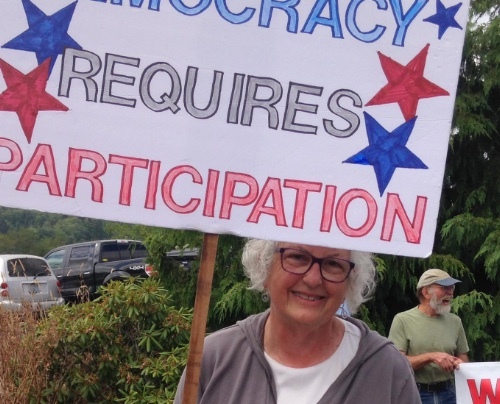 To get active with INCO about this issue, email incoregon@gmail.com. This is a rally, not a march. 1. Follow the instructions from our Safety Monitors, who will be wearing neon vests. 2. Stay on the sidewalk, not in the street. 3. Do not block pedestrians. 4. Stay back from corners so you don't block the view of traffic from vehicles. 5. If there are too many people at 8th and Commercial, it's OK to stand up the hill on 8th and east on Commercial. 6. Do not block the entrances to any businesses. 7. Act respectfully to all passersby, even those who disagree with our rally. 8. Do not engage with hecklers. • Reject Trump nominees Pompeo and Haspel. Urge your senators to actively oppose the nominations of Mike Pompeo as Secretary of State and Gina Haspel as head of the CIA. Both nominees reinforce, rather than temper Trump’s hawkish, autocratic tendencies and endorse reprehensible policies. Pompeo wants increased domestic surveillance, is fervently anti-Muslim, and downplays Russia’s attacks on our democracy, even when contradicted by CIA’s evidence. Haspel approved water-boarding and other torture at a CIA prison she ran in Thailand and then ordered destruction of video evidence of these illegal actions. • Stop the weakening of bank regulations and consumer financial protections. Experts say we're due for another financial shake-up that could be accelerated and made worse by bills being promoted in Congress. • Tell their colleagues to grow a spine and stand up to the NRA. It's past time to enact reasonable gun control legislation, including rejecting the proposed Concealed Carry Reciprocity Act. 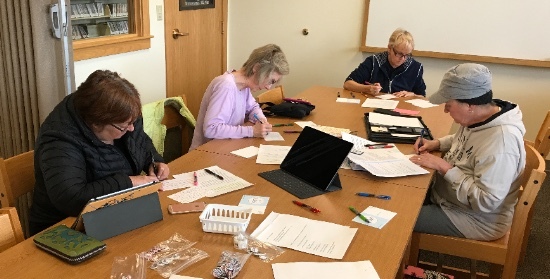 Thanks to everyone who came to the Postcards To Voters postcarding event at the Seaside Library on March 16th. We wrote 66 postcards on behalf of Dr. Hiral Tipirneni, who is running for Congress in Arizona’s special election 4/24. Now we are even more energized in the wake of Conor Lamb’s win in PA. We were proud to have helped contribute to the GOTV effort with PTV. We had 15 people at our meeting on March 17 and wrote 60 Postcards to Voters. At our meeting two weeks ago, we wrote 30 Postcards to Voters for the Conor Lamb campaign. Maybe 30 of those 627 winning votes were from people who got our postcards! Friday, April 20 - Astoria Call to Life: An Earth Day Ingathering, 6:30 to 8:30 p.m.,Liberty Theater, 1203 Commercial St., Astoria OR 97103; a family- friendly event hosted by the college; INCO will have a table at this event. “… the day-to-day job of upholding the Constitution really lies elsewhere. It rests, realistically, on the shoulders of every citizen . . . ."